Now more than ever women are able to have more of a say when it comes to giving birth. Whether she wants to have a medicated birth, an unmedicated birth or a planned cesarean birth, there are many different choices that are available to her which is wonderful and empowering! (Of course that’s assuming that her pregnancy and labor are going well and that mom and baby are healthy.) The most popular option laboring women are choosing today is an epidural. As you probably know, an epidural can decrease or potentially fully eliminate pain and discomfort women experience in labor. But–as we all know–the option is a controversial topic. Some moms say they would never choose such an option, while others can’t imagine having a baby without it. 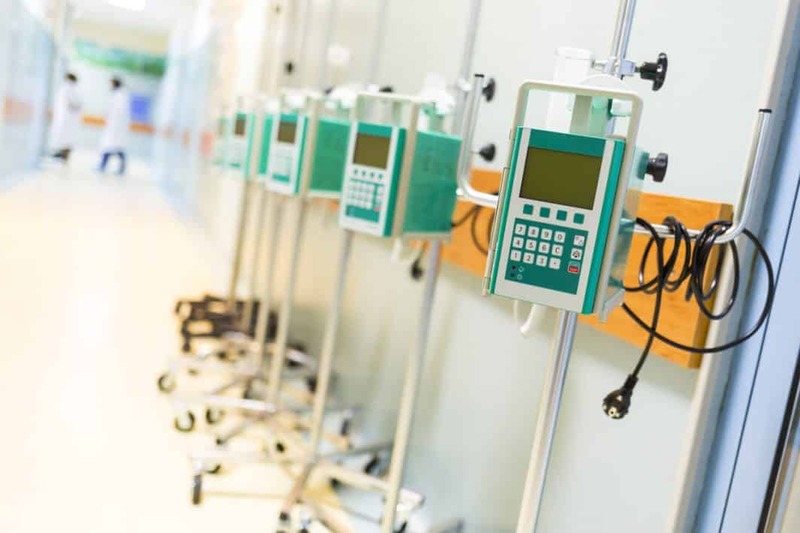 The number of women getting epidurals are steadily growing every generation. Currently 60% of women in the U.S. are choosing an epidural and at some hospitals it can be as high as 90%. As with any medical procedure, there are both benefits and risks. In this previous post we listed those benefits and risks as well as shared what you can expect and have written about when you should receive an epidural. 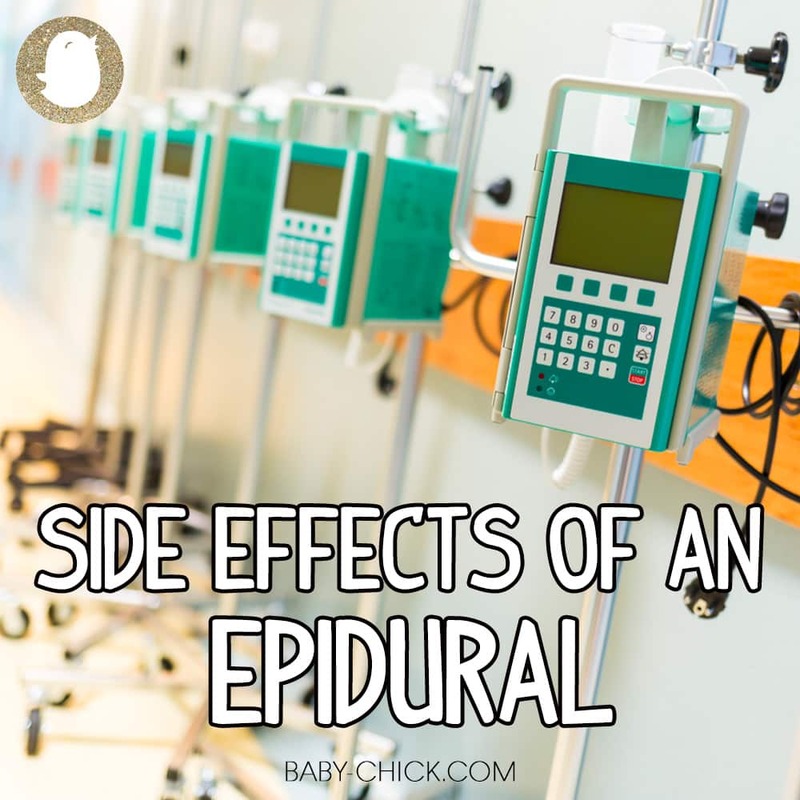 We haven’t covered potential side effects after receiving an epidural so we wanted to share those with you as well. After receiving the steroid medication, you could experience some side effects. Thankfully these all are very rare, but because they are still possible we wanted to outline them for you. A dural puncture occurs in only 0.5% of injections. It may cause a post-dural puncture headache (also called a spinal headache) that usually improves within a few days, but can last for weeks or even several months. An infection can potentially develop around the skin next to the epidural site. It normally does not spread. Antibiotics would be administered or, in more serious cases, emergency surgery. Back pain may occasionally occur if many attempts are required to insert an epidural. The resulting tissue irritation can cause pain around the insertion site for a few days. While extremely rare, nerve damage can occur from direct trauma from the needle, the epidural tube, or from infection or bleeding. This can cause loss of feeling or movement in parts of the lower body. The most common symptoms are numbness, tingling or weakness around the injection site that persists after an epidural has worn off. This usually gets better after a few days or weeks, but can sometimes take months. In rare cases, an epidural can lead to permanent loss of feeling or movement in one or both legs. Some cases of paralysis have occurred. But again, this is extremely rare. Overall, epidurals are a low risk, non-surgical option available to laboring women. It may be something that you are considering for your labor and baby’s birth or maybe you are just doing your research and weighing your options. Either way, we want everyone to know that there is no right way to have a baby. Whether you choose medicated or unmedicated, as long as you have done your research and it’s what you prefer do what you feel is best for you and baby. That is what we call an empowered birth!